Marks & Spencer Simply Food occupies an ideal space in Victoria Retail Park on Victoria Park Way, approximately a 3.86 mile distance east of the centre of Nottingham, in Netherfield (near to Victoria Business Park and Netherfield Train Station). This store essentially serves people from the locales of Colwick, Carlton, Gedling, Netherfield, Holme Pierrepont and Stoke Bardolph. Today's (Thursday) open hours are 8:00 am - 8:00 pm. 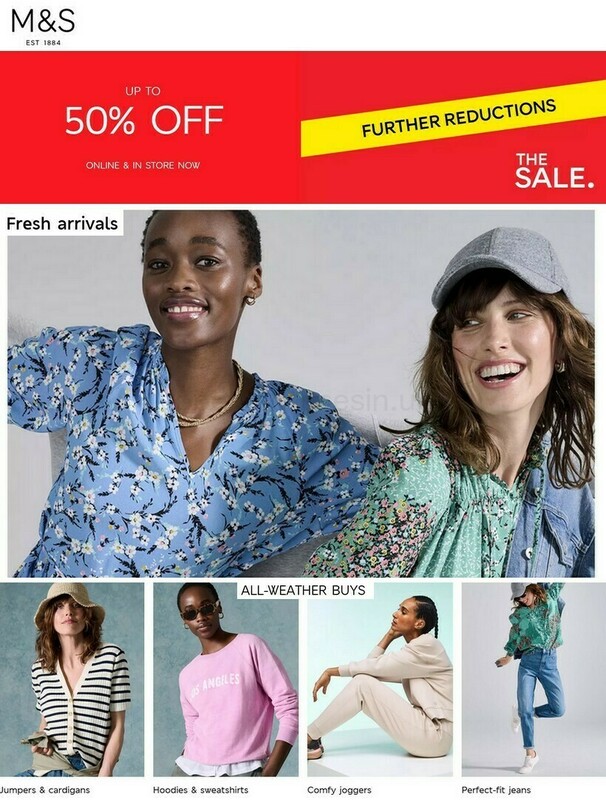 This page will supply you with all the information you need about Marks & Spencer Netherfield, Nottingham, including the hours of business, street address, contact number and further details. Marks & Spencer Simply Food occupies a location right near the crossroads of Victoria Park Way, Colwick Loop Road and Victoria Road, in Netherfield, Nottingham, at Victoria Retail Park. Only a 1 minute drive from Colwick Loop Road, Great Northern Way and Victoria Road; a 3 minute drive from Burton Road, Mile End Road or Shearing Hill; and a 7 minute trip from Huntingdon Street and Grantham Road. For patrons planning on using GPS to get here use postcode NG4 2PE. Bus services run directly to Victoria Park Way/Morrisons and Victoria Road/Godfrey Street. Board the routes L73, L74, L75, N73, Ecolink, Shoplink S10 or Shoplink S11. The local train has stops at Carlton Station (2450 ft) and Netherfield Station (2540 ft away). Available via the line: East Midlands Trains. Other interesting places nearby are Victoria Business Park, Holme Pierrepont Country Park, Conway Road Recreation Ground, Netherfield Train Station, The Netherfield Lagoons and Ley Street Playing Field. The total number of Marks & Spencer stores currently operational in Nottingham, Nottinghamshire is 1. Browse the following page for the full index of all Marks & Spencer locations near Nottingham. The UK holiday season may bring about exceptions to the established hours of operation for Marks & Spencer in Netherfield, Nottingham. In 2019 these exceptions consist of Xmas Day, Boxing Day, Easter Sunday or August Bank Holiday. Take a look at the official site when planning your trip to Marks & Spencer Netherfield, Nottingham, or phone the direct line at 0333 014 8555 for added information about the seasonal business hours. While visiting Marks & Spencer, please explore the other stores in Victoria Retail Park. Here you can also find LIDL, Argos, Next, McDonald's, Marks & Spencer, TK Maxx, SUBWAY, JD Sports, B&M, Morrisons, Morrisons Garden Centre and a few others. We are working to deliver you with the most accurate information as possible. Please utilize this form to report any mistakes with the street address or working times for Marks & Spencer in Netherfield, Nottingham. In the box provided below, please state your feedback on Marks & Spencer, and rate its location using the star rating system. Your critique is beneficial.